LOVE my IDShield! Super user-friendly site, great customer service experience and if there's a breach I get the best fraud investigators in the business to take care of my issue. What's not to love? Highly recommend! Great bang for youyr dollar. Family ID protection for Husband-Wife and up to 8 children.....$19.95 mo. No one else I talked to comes close. No.1 user rated ID Protection provider in the country for a reason. AND also they offer access to Legal representation 24/7/365 annualy ($19.95 mo.) for less than the cost of an attorney for a hour of their time. # 1 in my book. I was always frightened when shopping online or giving out my personal information. As a member of IDShield since 2003, Ive had peace of mind knowing that Kroll Advisory Solutions has got my back should anyone mess with me! Also love the price, the monthly monitoring alerts and 24/7 access. Luckily, we haven't been a victim yet, although we have been part of several data base hacks. So why do I want to review? Because using our membership dozens of times for preventitive consultation has diffinately prevented us from falling prey to some very ingenious thives. We ALWAYS check with our IDShield investigators & licensed consultants before clicking on sommething or responding to a phone call or e-mail, even if they seem harmless. I'm surprised that we have averted several potential opportunities to become victims just by getting the right information. I know my fb friends mean well and a few may have some experience, but I feel if Kroll (IDShield) has been taking care of the financial identity of countries, governments and fortune 500 companies for decades - they can surely handle anything that comes my way. Anytime I call, I'm assisted by a real investigator with real experience. Instead of hurring on to the next caller, I am given plenty of time to understand all the information I need to make a decision. They are available 24/7/365 if I have a theft issue and they do the work for me. The monthly membership was very affordable. When I changed jobs and cancelled the service but was still being charged it was rectified sufficiently. Once I decided to join at my new job it was easy to sign up again. As long as I didn't need the service everything was good. Once I tried to use it after having a membership for collectively two years I could get no help. There was only one lawyer in my area that dealt with my particular issue - which to me was a pretty straightforward situation. I simply wanted to legally change my daughter's name. I called multiple times over the span of a month and never got even a call back from this lawyer. I ended up going to court alone and filing the documents myself with only minor corrections needed - AND THE JUDGE WAS NICE ENOUGH TO DO THAT. I called Legal Shield to complain about the situation and was told it was nothing they could do. How about a refund from the time I tried to contact the lawyer to the present?? Also, they would not cancel my subscription saying I was locked in for a year. They didn't offer any solutions, alternatives - NOTHING. I was livid. The lawyer's unresponsiveness they can't control but they could have handled their end better. I will never patronize this business again. They have terrible policies and customer service. My only complaint is that offices are closed on the weekends so if you have a problem you have to wait until Monday morning to talk to someone and get help. My problem occurred late on a Friday and no help is available until Monday morning. I have had the IDShield/LegalShield service for nearly two years. I have had a few issues regarding my ID information and was able to talk to a Fraud Investigator that gave me excellent advice and reassurance. Very efficient, friendly and helpful no matter how small or big my question was. I am very pleased with their service. I have had LegalShield/IDShield for over 10 years. I get instant updates if there are any changes on my credit file. When I do encounter a issue they're there to help 24/7/365 days a week. LegalShield Live More Worry Less. I've been with legal shield for 10 years. I know I can pick up the phone and call about an issue, even if I'm not sure whether it's ID Theft or not. And they tell me what I can do or in some cases they take care if it on their end. I joind them back 2006; I have received excellent service and believe it is a great product. Great company. I've been a member for 7 years...no complaints. This is the best service I have had. I have been a member of IDShield for a Long time. They even sent me a notice when one of my email accounts was being offered for sale with a password. I was able to change all the accounts with that emails address before any problems happened. I have been very happy with the coverage that they offer at $19.95 for a family up to 10 it a great value. They do exactly what they claim and very quick at it as well. When my husband and I faced multiple bank garnishments and a $25,000 bill from the IRS because of an identity thief using his social, IDShield's private licensed investigators were there to spend their time and resources to restore things back to the way they were. We're happy to say that we got the refund we were entitled to from the IRS because of IDShield's unmatched service and expertise. IDshield is amazing. I compromised my own identity and IDShield folks kept me calm and got it fixed with no work on my part. I've had other services which didn't give me the personal service IDshield did. And they were available at 9 at nite! Incredible ! My wife and I have used the LegalShield / IDShield service, both in-state and in other states with their network of provider law firms. We have been very happy and satisfied with the service every time. They have since 1972 restored the Identity fully without charging any more money. They back it with a five million dollar guarantee. They use Kroll to do the work. And they are the best of the best! I will use no other. No one else offers 24/7 emergency access or licensed private investigators assigned to your case until all resolvable issues are resolved - whatever it takes, for as long as it takes! $5 million dollar service guarantee? Unheard of in the industry vs some smoke-and-mirrors, cockamamie, "$1 million insurance" broken down into tiny, bite-size, if-you-can-prove-your-expense-we-might-approve-the-reimbursement scheme. Who has the time, money or experience to track down all of the businesses and agencies during business hours when you are supposed to be working to investigate and right your identity compromise - whether it's financial (only 17%), medical, driver's license, social security, criminal, tax return, children, elderly, military, or government? One call, limited power of attorney and a licensed private investigator does the heavy lifting for you! No competition; no comparison. I had my car broken into and within minutes, the thieves were charging purchases on the debit card! 24/7 access helps to limit the losses immediately. Since then, several large breaches occured: University of Hawaii, K-mart, Veteran's Administration, Target, Office of Personnel Management... all places I've worked, attend school, or shopped. While they are busy spinning a great PR tale, I'm sleeping easy at night knowing my entire family is covered shoud any of our exposed personal information be sold, resold, and eventually used. Better to have it and not need it than to need it and not have it. If you have a choice to go with the number one company in the industry, why not? And it''s cheaper? And you get more? No brainer. Get the facts, then get protected. I have owned their Legal and Identity Protection for 12 years. they have helped us in so many ways. They are changing the way legal services are delivered to the average person. This is the second time that I have received an email late Friday and I have never been able to log into my account. One reason I can't log in is that my number contains a letter at the end and the web will not let me enter the letter and then they tell me I don't have the right number. When I call the 24/7 phone number I am told they are closed from Friday to Monday. Well, a lot can happen over a weekend. Why can't I get in touch with ID Shield when they send me an alert? 24/7 REALLY? I use Legal Shield as often as possible. Their products and their people are outstanding. 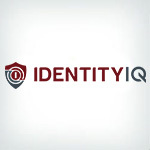 I used to get monthly updates from Identity Shield. After my payment this past year I have received none. I wrote them on May 1, stating my complaint. As of this writing, I have not received an answer. I consider this a scam. I have not received the service that I paid for and asked to have my payment returned. I am a widow on a fixed income and refuse to be taken advantage of. I threatened them that I would report this to BBB. That did not have an impact. In their ads, Identity Shield is no longer mentioned, just Legal Shield. Scammed!!! LegalShield and their ID theft plan saved me a lot of grief, time and money when I became a victim of 5 or more multiple online ordering scams between Thanksgiving and Christmas In 2013. Online orders from cheese in WI, to ToysRus in NYC, to Home Depot in California, and several more were made up in my name & address, and I didn't know until I got all the bills. By the time they helped restore my credit, my crdit score improved by 37 points! So grateful for their help! I have had the legal plan since 2001 and I and my family have used it over 90 times which has saved us time and money. It's been my best investment. I have had the identity theft plan since it was first introduced and have received several alerts. I have researched the various plans on the market and am convinced that the LegalShield plans provide the greatest value and protection. I have been very satisfied with my Legal Shield membership! Where else can you get a Living Will, 24/7 Lawyer Access, and Membership Benefits? I'm going to tell my family, friends, and those that I love! LegalShield has offered the most comprehensive Identity Theft Protection services for over 20 years. I received an email alert and was able to contact my Licensed Investigator at Kroll who helped me completely restore my identity and notify all three credit bureaus. My children are being monitored as well at no additional cost to my Family Plan. Exceptional value for my money. Covers the entire family and has Kroll as the service provider. These are real professionals and investigators not a call center that distributes information. They have been doing ID Theft consulting and protection longer than anyone in the market. Won't ever be without it! Great service, they quickly helped me when my identity was breached, the investigator was very professional and solved the problems quickly. We have enjoyed the benefits of the LegalShield IDT plan for over 5 years now. I get "Text" alerts and that is a real plus. Although we have had no incidents to this point, the peace of mind that Kroll is watching my internet, multiple bank accounts and ME and my family 24/7, has given me comfort in the area of protecting my identity along with my family. Combined with the basic legal plan from LegalShield, we wouldn't be without it! Restoration. They stay on the job as long as it takes to make it right. I can go on with my life knowing that they're doing the dirty work for me. I'm comfortable with the I D Shield monitoring. Customer service is thorough and responsive when called and very helpful. The discount given when attached to the legal plan makes the family protection very affordable and comprehensive. Both plans are less than $1 a day to protect the family. I love this service! The slogan "you have to be in it to (win) it is so true.. The service can only monitor one's account if they have all your appropriate account numbers ..They cannot monitor and report what they don't know...The IDT account requires activation too. which was so easy..when I had completed my application online,immediately the "Activation" button appeared ..I clicked and was taken to a screen registered...added my accounts ..I was then taken to the "Dashboard" where I found my first notification .. that all was alright. It also showed my credit score. I then printed off my credit report . My Legalshield representative was a phone call away.. and I called her..she was friendly ,knowledgeable and answered the questions I had. They answered my call in two rings and put me through to a licensed fraud investigator.I told him about my $30,000 credit card fraud problem and he said, "can you do a conference call now with Citi Bank?" I said yes, and he call Citi Bank with me on the line and he called a person at Citi Bank and said this, "this is (name) a fraud investigator with Kroll and I have mister Garner on the phone with us and I need you to do this". They did ... problem was solved with no further action on my part, just one call! I was going to do a reverse mortgage on my home to secure the cash for my future medical expenses. I am 96 years old and paid off my home years ago. I spoke to my Legal Shield elder law attorney before I signed the reverse mortgage and was told that I qualified for a Medicaid Waiver which allowed me to keep my home and car and money in the bank and still get the care I need. I could not be more grateful for the elder law attorneys with whom I speak frequently to ask questions. My company paid for a year of Legal Shield after our personal information was breached. Halfway through our trial, I took out a school loan, had my debit card stolen twice and had my paypal account hacked. Each month my friendly Legal Shield would e-mail send me updates happily letting me know that "no suspicious activity had been found on my account!" I'm not entirely sure what the company was supposed to be looking for, but I wouldn't trust them to find much..
Legal Shield is one of few companies that offer full restoration benefits. It is not an indemnity plan that requires you to pay for services, and then file for reimbursement. Wow, exceptional service. This is the only coverage that the investigators are actually licensed investigators! The informed me someone in Ohio was trying to use my data for a loan, then I was assigned a Team of Licensed investigators who said they'd take care of it, and it totally went away. I wasn't sent a kit or had to make any calls, they did it!! The BEST in my books!! I have complete peace of mind receiving email alerts if anything looks suspicious on my credit report. Even better, knowing that LegalShield will go in and restore my identity in the event I become a victim lets me sleep stress-free through the whole night. I love LegalShield as they are the most comprehensive service on the market. They do not need the one million insurance police because they do all the work for you with their complete restoration service thus saving hours of precious time for the victim of identity theft. It also covers all forms of identity theft where as most companies do not. Being licensed in insurance, I have read the one dollar policy offer by companies to the conclusion it is very limited in how much money will be paid out for certain claims. One million sounds great but I would doubt if one million would ever be paid out--it is a sells bullet point. Not only does legalShield and Kroll Background America check our credit 3 times a day, they have sent us numerous alerts to make sure the suspicious activity was done by us and not a criminal. When an attempt by a thief was made to purchase a home in our name, they were able to intervene and stop the crime from happening. This is true peace of mind. I did extensive research and purchased their Identity Theft program which is handled by Kroll Advisory. Kroll, is the industry monster in protecting and rebuilding your credit in the event your Id is stolen. They are the go to company for many of the U.S. agencies when dealing with identify and other matters... I Have yet to have any ID theft since I have them, however, I'm assured that in the event of a major or even monitor your ID, they bring you back to pre theft status, unlike the other ID services, they rebuild my credit and sign an investigator and if needed they use Legal Shield as the legal backstop to protect all aspect of identity!! I'm assured, with Legal Shield and Kroll, I'm not told how to rebuild my credit and don't have to spend the 400-500 hours and deal with all the headaches!! I have found that Kroll is the best, every company that I researched for ID theft had disclaimers as to rebuilding your credit and Lifelock I found was sued by 23 State Attorney Generals Office for fraud and it appears you have to prove to them or sue them to have them rebuild your credit, they tell you how and you have to spend the 100's hours to do it yourself!!! If only I could find a company that fills my health care, vision, dental for $20-30 per month. Also, what is truly amazing you are covered with Legal Shield in so many areas of my life that I never thought of!!! This company is not a scam or fraud they are the real deal and I still can't believe that they exist!!! They have truly provided a product that allows the one to live and more and worry less as the company slogan states, One of the few companies that truly walks the talk!! Covers all kids in the house up to age 26 now, so one payment covers the entire household. Combine that with comprehensive restoration by the 800 pound gorilla that is Kroll, and you have the most robust and least expensive ID Theft protection product on the market. I have had the LegalShield legal and ID theft plan for over 10 years and from my experience this is the absolute best service available on the market today, hands down!!! I have used it on so many occasions over the years and have never been disappointed – not to mention the thousands of dollars I have saved for both legal and ID theft issues! LegalShield has been around for over 40 years and the same goes for Kroll who provides the complete restoration services for ID theft victims. Kroll is literally the world leader in fraud solutions and their experienced, licensed investigators do all the work on your behalf should you or an immediate member of your family becomes a victim. Other companies don't even come close to this type of “no hassle” protection/restoration plan since they are not equipped to provide complete restoration without time limits for all kinds of identity theft (financial, medical, social security, criminal, etc.). Unfortunately, you won't find that out until something happens and a limited scope of protection is revealed as I have seen happen with friends who had other plans when identity theft and/or legal issues struck. Be sure to read in between the lines…as of right now there are 103 ID theft protection plans being compared on this website with a total of 551 reviews for all of the plans combined. And 122 of those 551 reviews are for LegalShield alone, the most reviews posted for any id theft service listed on this website. Somehow, LegalShield ranks #3 and was given a score of 7.6, when the average scoring of 122 ACTUAL USERS is a high score of 9.6 !!! And then you have LifeLock, ranking #1 and given a score of 9.5 when there is a significantly lower average scoring of 6.1 from only 44 ACTUAL USERS. I do realize this website has specific criteria that are used to arrive at their scores; however, the best resource for ratings is always going to be most accurate from the people who are using the product! Overall, I can happily say the plans pay for themselves (and then some) and I would NEVER be without them. I hope this helps you. Read the reviews, do your homework and see for yourself…the proof is in the pudding!